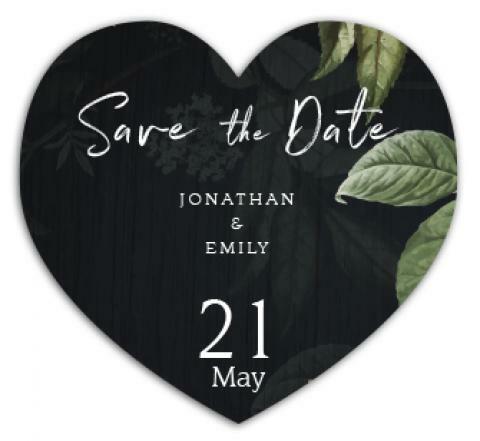 Personalized 3.25 x 3 heart-shaped save the date magnets offer you hearty way to say “ Be here for us on our special day”. Heart is always perceived as a symbol of love and its for sure that people are gonna retain this heart shaped pre-wedding invitation as a reminder, memoir and refrigerator art. This save the date magnet is going to hold center court attention on your wedding day and even after that. This means your union is going to be celebrated for long time to come.